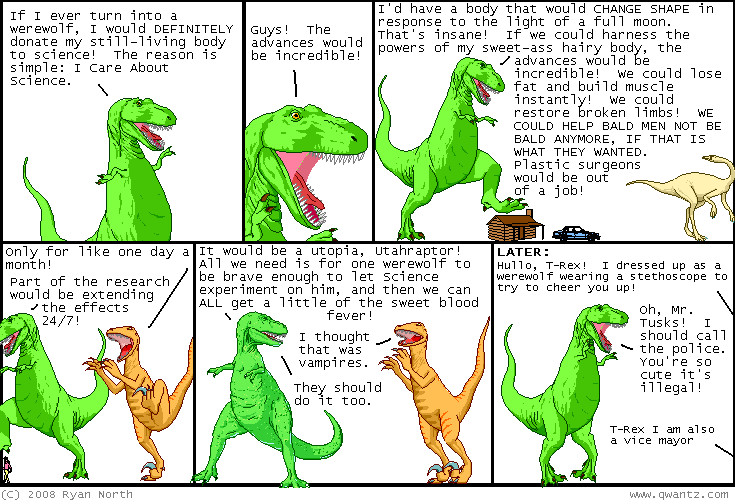 Dinosaur Comics - June 26th, 2008 - awesome fun times! –And then I'm sorry I thought it was "Doctor Madame Frances Experimento, LLC"! One year ago today: my freezer is ALSO dying a slow death! TORONTO PEOPLE: meat party tomorrow night?? maybe even tonight. i'll be in touch!